Adriana Paice collaborated with poet Ri Pierce-Grove to create a series of interactive tapestries and textiles for Fragments. 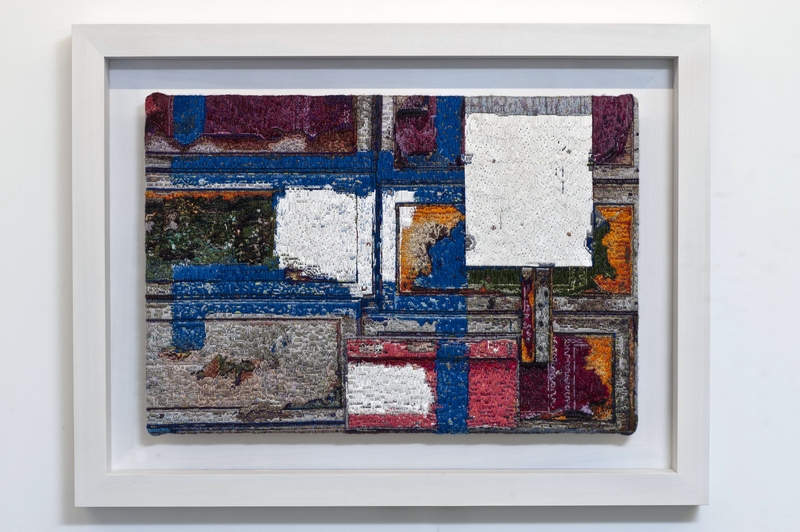 Each tapestry explored the physical and psychological texture of urban spaces. They responded to the presence of a viewer by playing a fragment of poetry. Each tapestry was flanked by two silk panels embroidered with a single line of verse stitched in touch-sensitive thread. 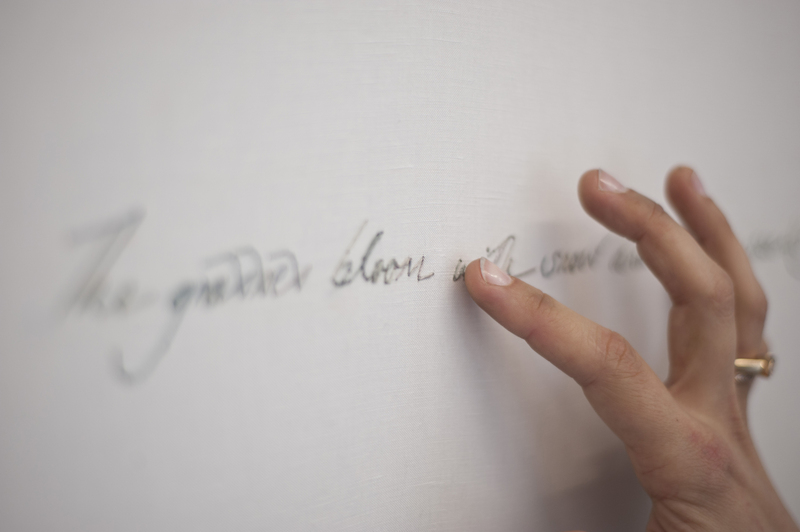 Visitors were invited to touch these panels, tracing the contours of the words with their fingertips to release a whispered piece of poetry. The work aimed to engage the viewer’s touch, hearing and sight in order to depict and enact the accumulation of experience around place and word that form our memories. 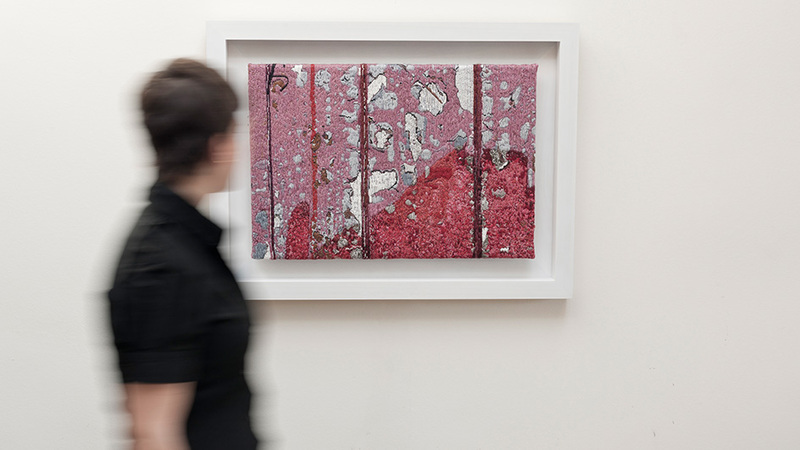 Adriana Paice is an artist and curator, making interactive embroidered panels that incorporate silk, sensors and sound into a single experience. Ri Pierce-Grove is a poet and media scholar.